Happy New Month dear VOBers😉. I'm super sure some people will be like "Vicky January was kinda long" but really it's the same 31 days we experience in some others months. In all things give thanks, you did not bring yourself this far. So tell me what made you really happy in January?? For me, it was the relaunching of my blog. 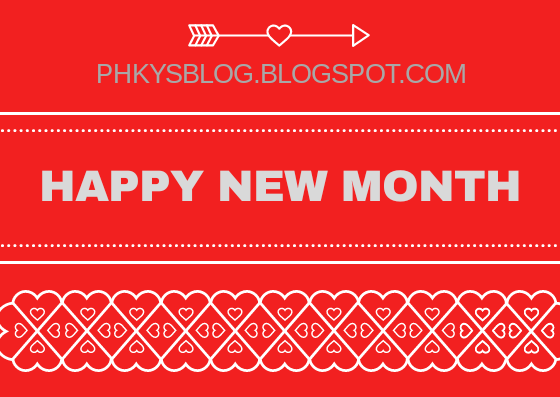 I pray this new month will bring a lot of positive change in your life and this change shall be as good as you are. Enjoy this month with all of your friends and loved ones. It's also the "love season" ensure you show love to as many people as possible. Keep winning guys. I appreciate each and everyone of you. Cheers to a Fantabulous February 🥂!!! !